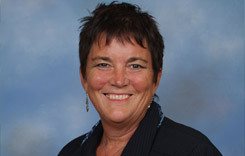 ASCL member Marcia Twelftree is a headteacher and school improvement partner to four schools. She discusses her own experience of juggling both roles. When I took up my role as a school improvement partner (SIP), I had been in my second headship for six years and felt that this would add a challenging new aspect to my career. My intuition was right. It has turned out to be one of the most interesting roles I have ever taken on. The accreditation was rigorous and challenging, albeit with rather too much emphasis on data. I am now in my second year as a SIP and have been allocated four schools, an increase from the initial three. I have deliberately decided not to work in my own home local authority (LA), but in a neighbouring local authority. This has been beneficial in that I can be more dispassionate about schools in an area with which there is no competition or natural links with my own school. Generally, I spend three days in the autumn term in each school, followed by one day each during the spring and summer terms. As a head, it is always fascinating to visit other schools. I learn new ideas, I am challenged with new concepts and stimulated to try out strategies back at home. I have assisted schools in reviewing their school improvement plans, improving their self-evaluation forms (SEF) and agreeing packages of support for identified weaker areas in the schools. The four schools I visit vary hugely, from very successful institutions to ones with challenging students. This means that the role varies according to the needs of the school. In the most successful school, the visits are usually excellent dialogues in which good practice is shared and new ideas debated. On these occasions, I find that I can be rigorously challenging, yet hopefully help the school in terms of a national perspective or a view from another local authority. The staff at the school say that they find this much more useful than previous link inspector meetings, before the advent of SIPs. In my more challenging schools, the SIP role is different. Here, I have to discuss with the school staff significant under-performance and help them develop their capacity to improve, despite the challenges. I have had discussions with middle managers in the identified areas and have brokered support for the school, both from within the LA and from my outside contacts. This has occasionally led to some conflict with the LA, who want me to always suggest their own LA Advisory Team for support. I am clear, however, that my role is to recommend to the head whoever I think would be the most suitable sources of help - then it is up to the headteacher and senior leadership team (SLT) to make their final decision. I believe this is the real brokering side of the SIP role. I do think that the National Strategy Team could take on a beneficial role in forming a good web-based system to help SIPs in this aspect; it would be particularly useful to those SIPs who do not have a network of national contacts. There has been a leap in the quality of data analyses used by SIPs and schools to support their self-evaluation, target setting and planning. The analyses of pupil outcomes from the Fischer Family Trust have been particularly useful, but so too have new analyses of absences and exclusions. The new RAISEOnline system did not deliver as promised last autumn. When it finally does, it should give schools a comprehensive set of analyses and stronger links to the bespoke analyses which schools carry out for themselves. There is an on-going programme of training for existing SIPs, who are expected to attend two of these sessions each year. I am afraid that these events are still too variable in quality. The National Strategy Team needs to raise its game if these potentially valuable training days are to be seen as really useful by SIPs. Many of the sessions are too basic for the experienced headteachers present and too many people leave the days early. Initial feedback from other heads on the usefulness of SIPs in my locality has been variable. Where their SIP is an experienced head with current or recent experience, their feedback is largely positive. It is less so where LA inspectors have been moved into the role. This perception is backed by the ASCL research. Thus it would appear that a good start has been made with the implementation of SIPs, but there are some worrying issues on the horizon that need to be dealt with if we wish to really establish the intelligent accountability and brokered support that we feel is best for our schools. Most worryingly, the DfES and local authorities appear to be adding constantly to the number of monitoring issues they wish the SIPs to oversee. I am very concerned that if we are not careful, the visits will become sessions for a tick-box chart, rather than the positive support and challenge which I feel is the valuable part of the role. We really need to leave it to experienced SIPs to select the issues on which the school needs support and challenge, and then allow the relationship to concentrate on school improvement. The only way that the New Relationship with Schools (NRwS) is going to work, I believe, is for many more experienced school leaders to take on the SIP role. I feel strongly that practising heads must engage with this; the alternative will be full-time local authority staff carrying out the role. So far the number of headteachers appointed in many areas of the country is far less than the numbers required by the NRwS team. They state that they would like to see 75 per cent of SIPs with recent headship experience. We all need to consider the practical benefits for our school. The money paid to the school for the SIP's services can provide for useful support for the rest of the SLT during the head's absence. It also helps to give the team extended leadership opportunities. In addition, it is an enjoyable exercise - I have learned a lot and brought a great deal of experience back to my school. I would challenge all heads who have been in post more than three years to consider whether or not their school has the capacity to allow them to engage in this role. In the end, it may be the school that benefits most of all. Marcia Twelftree is Head of Charters School in Ascot and a member of ASCL Council.